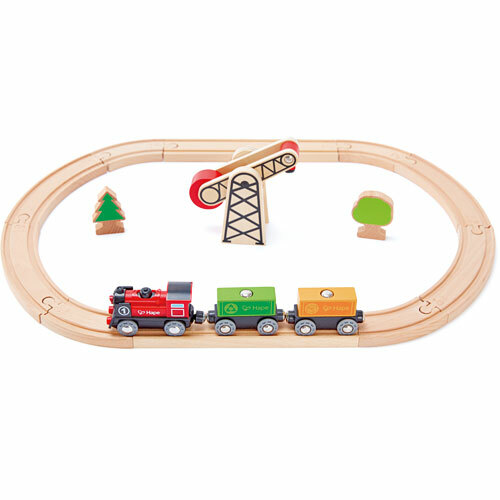 -Battery powered engine with two freight wagons packed with removable cargo. 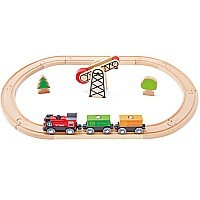 -Includes a crane to lift off the cargo, and two wooden trees. -Requires two AAA batteries (not included). Measures approximately: 21.26 x 15.75 x 4.72 inches..